Bake McBride was an All-Star outfielder for the St. Louis Cardinals and Philadelphia Phillies. While playing with the Cardinals in 1974, he was named the AL Rookie of the Year. He became a World Series champion with the Phillies in 1980. 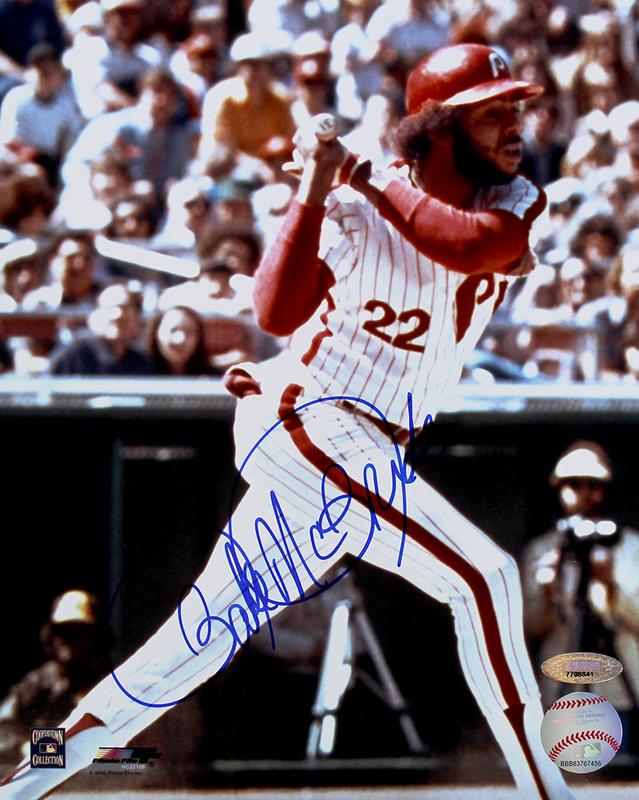 Bake McBride has hand signed these Philadelphia Phillies 8x10 photos. Each autograph is guaranteed authentic, and includes an individually numbered TRISTAR Authentic hologram.